The Acoustic Festival of Britain offers four stages of unplugged and acoustic music covering live folk guitar music, country music, bluegrass, with a few legends, and some tribute acts. This the 11th year of the festival sees it moving to June and will take place over the spring bank half term holiday from Friday 3rd to Sunday 5th June at Uttoxeter Racecourse, in Staffordshire. This year's themes is Stem Punk and Vistorian Fantazia. The Blockheads, Midge Ure, The Jive Aces, Blair Dunlop, Swanvesta Social Club, Wildfire Folk, The Counterfeit Stones, Remi Harris Trio, Toriah Fontaine, Los Pacaminos, Chris Woods Groove, Judie Tzuke, The Ukulele Theatre, Dean Friedman, Plumhall, Professor Verymental, The Roving Crows, The Outcast Band, The Beautiful Sound, Dodgy, Funke and the Two Tone Baby, Vix & Her MsChiefs, The Mersey Belles, Nell Bryden, King King, T.Rextasy, BabaJack, Tony Wright (Terrorvision), John Bramwell, Chris Helme, Gaz Brookfield, The Demon Barbers XL, The Tom Seals Band, Bad Cardigan, Blind Fever, Dexter, Elvis Fontenot, and PanAcoustic. For the line-up details as available see The Acoustic Festival of Britain line-up page. Early bird offer tickets are on sale priced at £85 for the weekend with camping an additional £20. There is also an option to pay in 4 monthly payments. Children aged 10-15 years old at the time of the festival will need a child's ticket priced at £25 for the weekend with camping. A ticket for kids aged 5 to 9 years old is priced at £5 for the weekend with camping, and an infant aged 4 years and under is priced at at £1. A Thursday arrival and camping ticket is an additional £5, a family weekend with camping ticket (includes 2 x Adults & 2 x Children with Camping from Thur. 2pm & entry to the main arena & all stages from Thursday Evening and all day Fri. Sat and Sunday) is priced at £225. Day tickets will be available at a later date. The Acoustic Festival of Britain offers the chance to camp in the same area as you park. The campsite also has pitches on grass/hard standing for caravans and campervans. Caravan & Camper Van passes can be booked for £10 per vehicle for all 4 nights. There will be 2 sites available for caravans and camper vans. The Main Festival campsite has 300 pitches on grass/hard standing. There is no extra charge for this. These pitches do not have electric hook ups. All occupants must purchase the relevant Weekend with Camping Tickets. There is also a Caravan Club site on the Racecourse which has space for 70 units with electric hook ups for members only.  Members who book pitches on The Caravan Club site (via The Caravan Club) and are attending the festival, only need to buy Weekend tickets, and not weekend with camping. Bookings to be made direct to the caravan club on 01342 327490. The festival is expected to offer four Stages and dozens of crafts and food tents together with a huge real ale tent over 200ft long, with a stage powered by bicycles, and set in 92 acres of parkland. The festival also has stalls, craft displays, juggling schools, workshops, soccer skills, cinema, food hall, breakfast café on camp site, comedy hour, a buskers stage, a real ale tent, fair trade, children's area, camping, a tipi circle, flushing loos, and more. Music Workshops include Drumming & Percussion, Didgeridoo, Ukulele, Mandolin, Spoons, and Fiddle. The Children's Big Top Marquee hosts many of the Chidren's workshops and activities, including Free Face Painting, and there's loads of activities to keep the little'uns entertained.